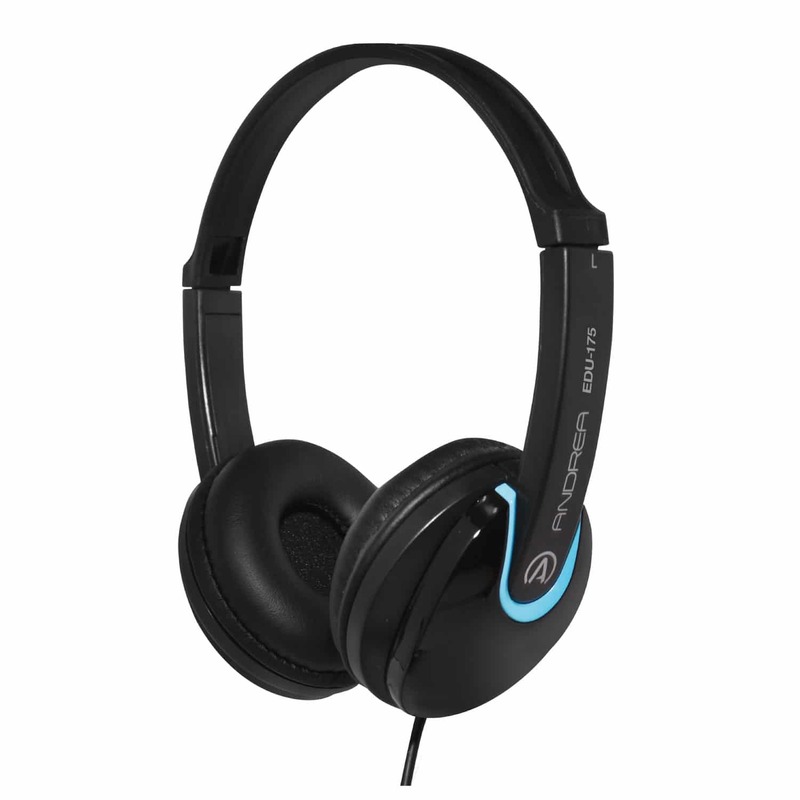 Andrea Communications EDU-175 On-Ear Stereo Headphones deliver incredible sound at a value price. The EDU-175 headphones, with convenient in-line volume control, are perfect for use in educational settings, as computer headphones, or for listening to your favorite music or podcasts. Plush leatherette ear cushions are easy to wipe clean and the adjustable headband ensures a comfortable fit even on smaller heads.